After the disappearance of a scientist on a business trip, his son and wife struggle to cope, only to make a bizarre discovery years later - one that may bring him home. 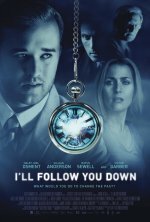 I’ll Follow You Down release date was Friday, June 6, 2014. This was a Streaming release.